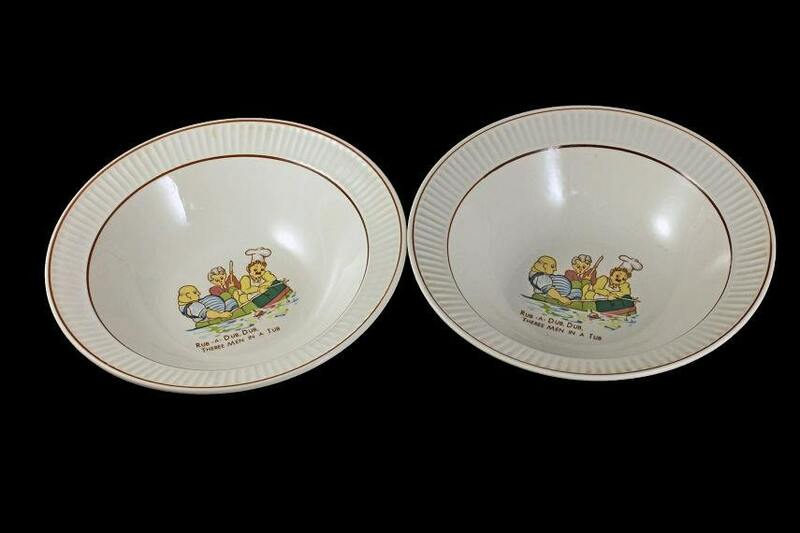 A cute set of 2 nursery rhyme bowls. 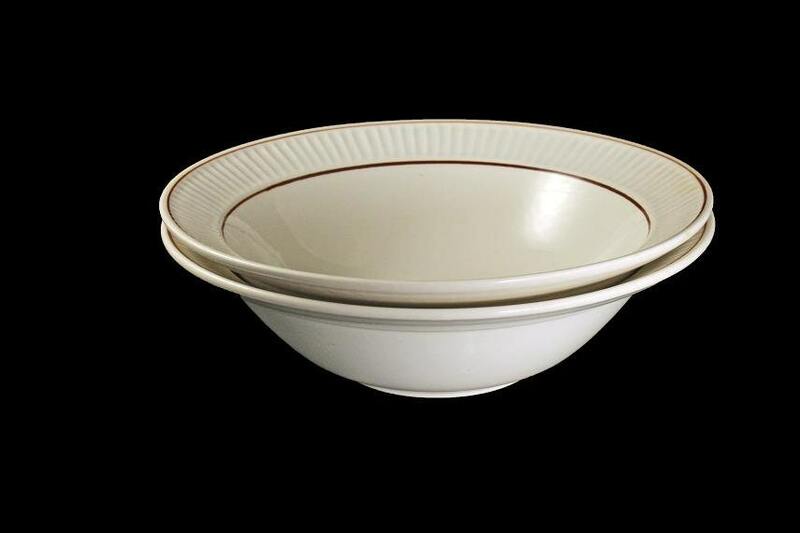 These would make wonderful cereal or soup bowls. 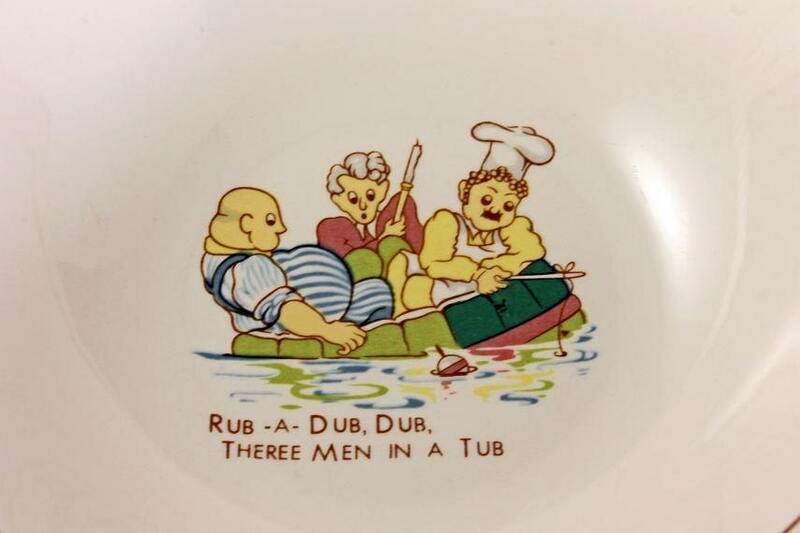 The nursery rhyme is Rub a Dub Dub with the butcher, baker, and candlestick maker. This set of bowls is also cute and unique in the fact the number three is spelled wrong. Look carefully it is spelt "theree instead of three". 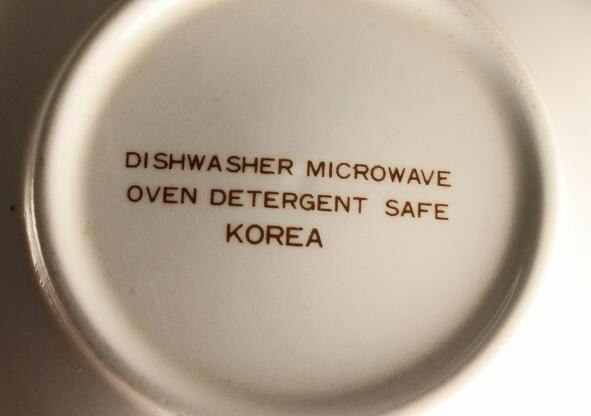 That mistake makes these bowls collectible as well. 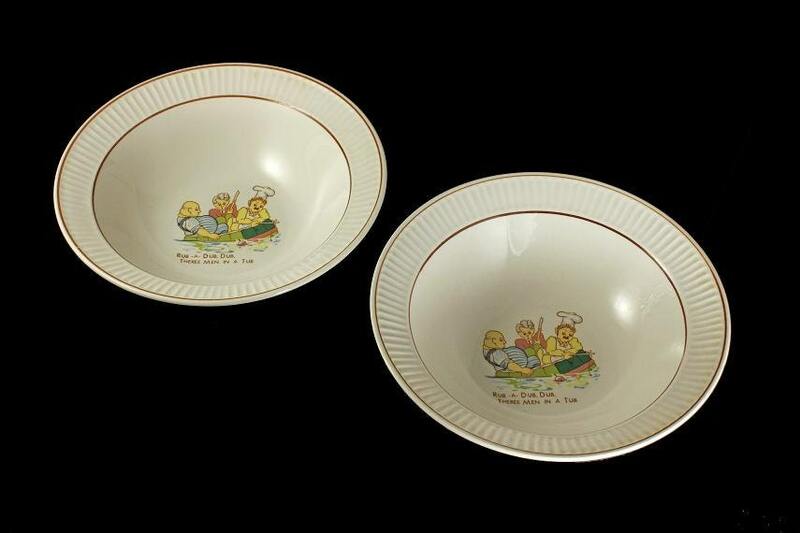 Each one of these child's bowls is in excellent condition. There are no chips, cracks or crazing. There are some minor utensil marks on the bowls but that is to be expected.